CHANGWON -- With LG Electronics slated to complete its new smart factory for home appliances by 2022, the division chief said there will be no job cuts from the automation. The firm will instead hire more employees to supervise the automated facilities. LG plans to rebuild its aging factory located in Changwon, southeast of Korea, with an investment of 600 billion won ($538 million) to make production more efficient and smarter by adopting an intelligence system. To concerns that such automation will lead to job cuts, the tech firm said it will add more than 250 employees for the new factory every year from next year. “Many people say there will be job losses from factory automation. 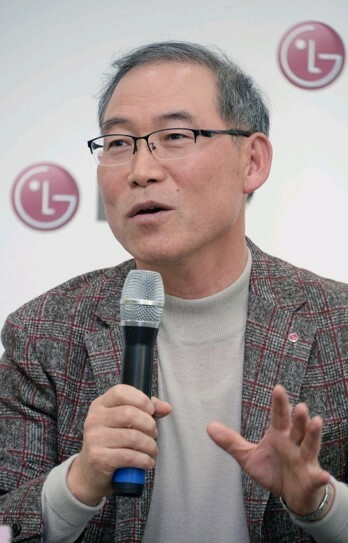 However, that is not true,” said Song Dae-hyun, president of LG’s home appliance & air solution unit. “We will need more employees because production output is expected to increase on growing demand for premium appliances. Plus, the automated facilities should still be managed by employees,” Song added. The firm expects the upcoming smart factory to create synergy with its new research and development center for kitchen appliances and home appliances nearby. With an investment of 150 billion won, LG opened the R&D center last month for the firm’s home kitchen appliances, including refrigerators, water purifiers, ovens and dish washers. The R&D center features various facilities and designs that are aimed to improve the “emotional quality of the firm’s products,” the company explained. It, for instance, houses a cooking development room equipped with cooking tools including a fire pot, industrial oven, bread machine and grills for its employees to make diverse cuisine to apply different recipe into new products. The center also hires a water sommelier, recipe specialist and kimchi specialist.